Kūlia cooks! 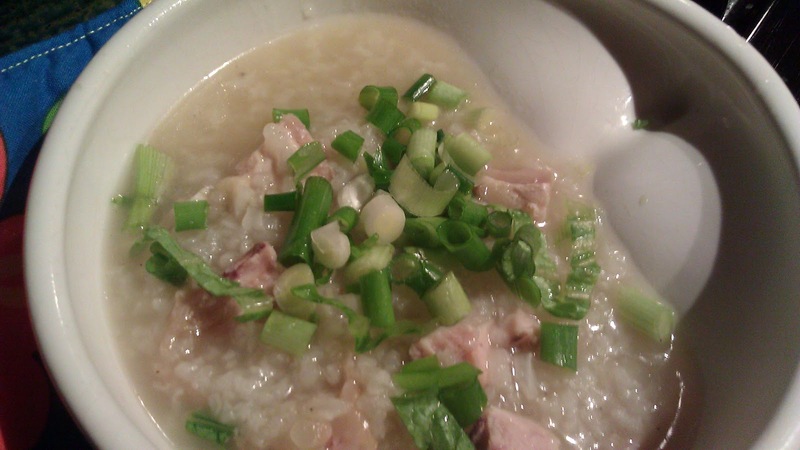 : Thanksgiving Leftover Hawaiian Style - Turkey "Jook"
Hope everyone has a wonderful Thanksgiving and a yum yum meal. 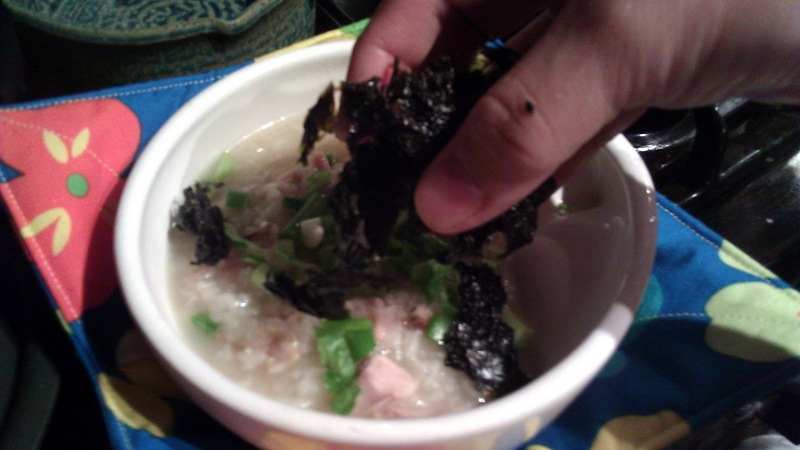 I think it is a "tradition" to have leftover. 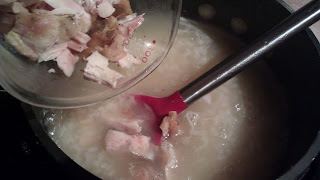 As we would make sandwiches, turkey casserole on the mainland, those of us from the Islands have our special tradition with Turkey leftover, we make "Jook"! 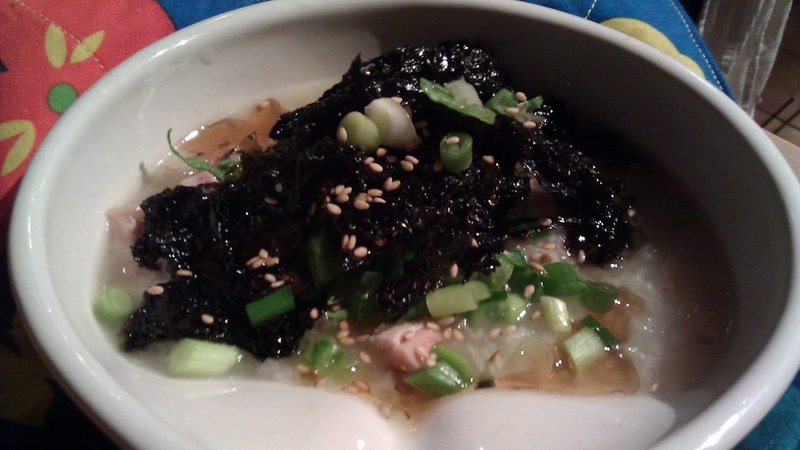 "Jook" 粥 in Chinese or "Juk" in Korean both mean rice porridge, or sometimes referred as congee. 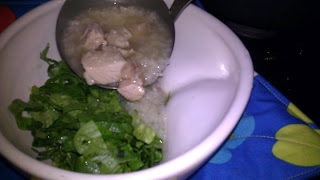 Each family has their own special recipe of making Jook. 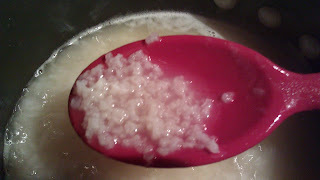 It is simply boiled rice in a lot of water or stock to make a rice soup. As many would do after the big dinner, I took the roasted turkey carcass and boil it down to make a thick stock. There is not really a recipe. 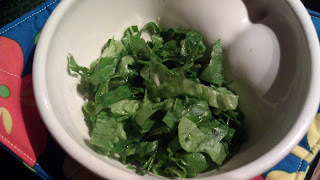 I just put break down the carcass, put in the vegetable leftover that I used to roast the turkey into a big pot. 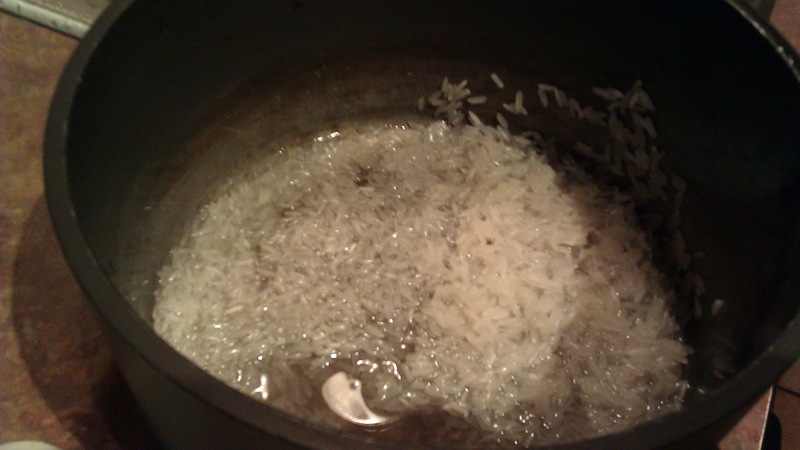 Cover with water and let it cook low for a few hours. 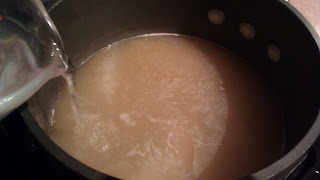 Remove all the bones and vegetable, strain the stock and store in a few containers (2 cups each is my prefernce) and freeze it. I keep the base stock simple so that I can use the stock for both Asian as well as Western dishes. 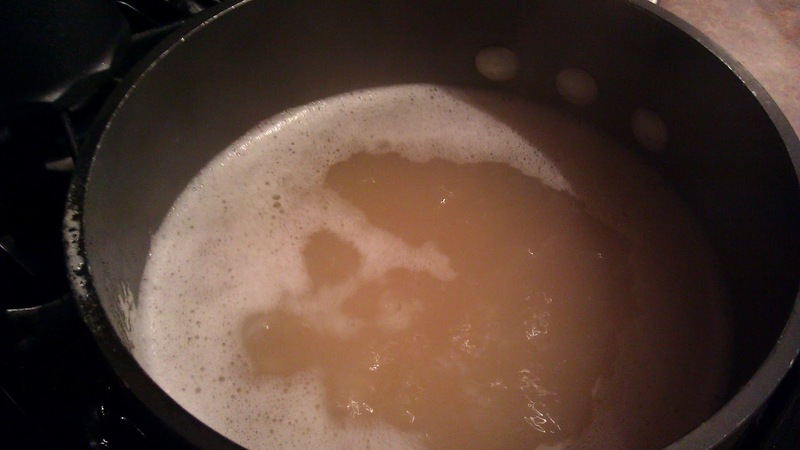 Bring to a boil, lower heat to med low. Cover and let the porridge cook for about an hour. Check and stir every now and then to make sure the rice is sticking to the bottom. 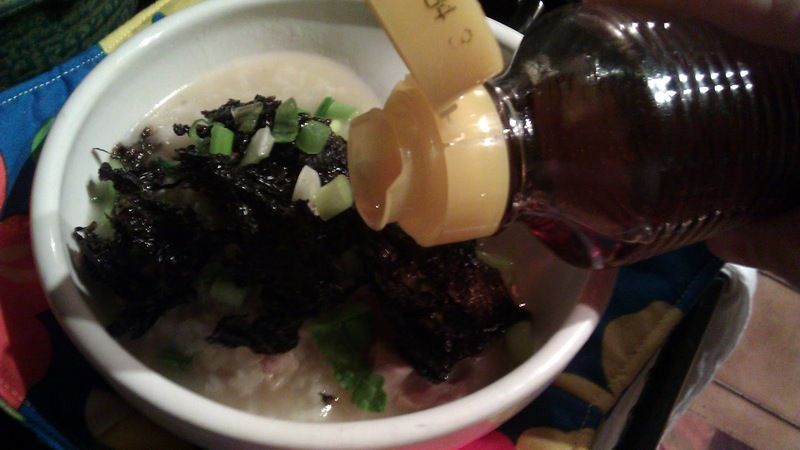 The porridge is ready when the rice "flower", starts to disintergrate. Add turkey meat, stir and let it cook for about 10 mins. Check seasoning, add salt and pepper to taste. Place 1 cup of lettuce in each large soup bowl. 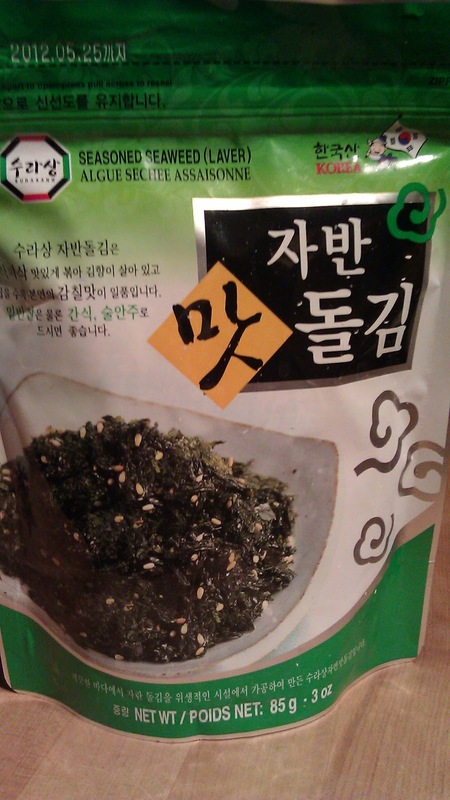 Top with a handful of roasted seaweed. (I love seaweed, if you are not sure, start with less). The porridge is wonderful without the topping. 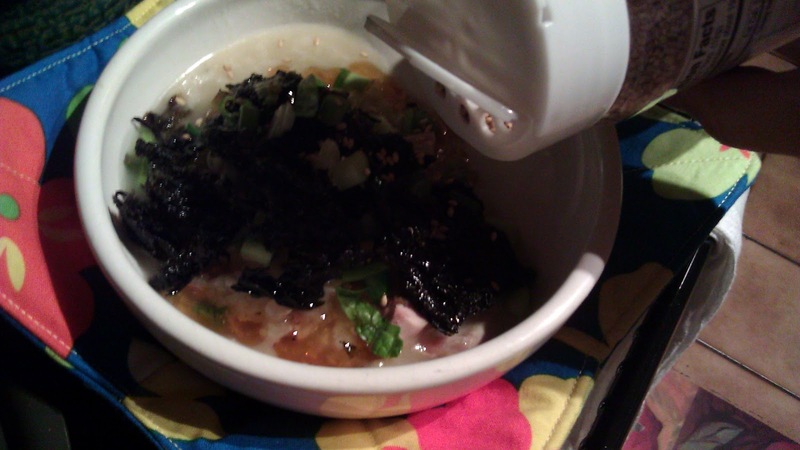 Made 3 cups, 2 dinner serving.